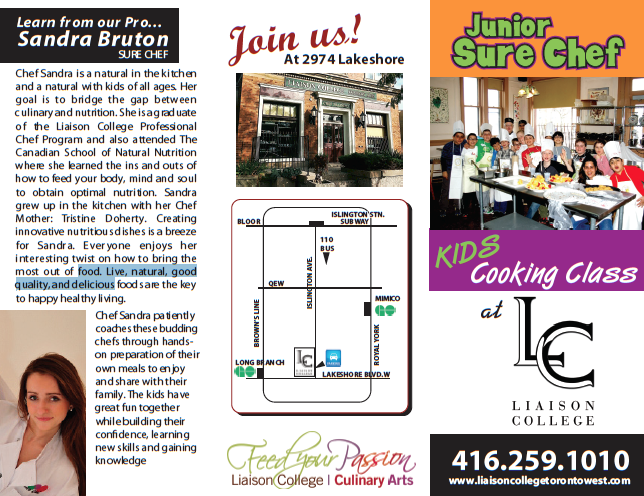 Chef Sandra has a gift for teaching kids about food, nutrition and good eating habits. 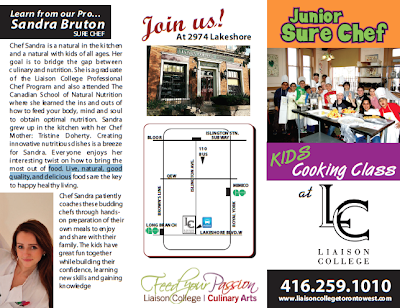 She patiently coaches these budding chefs with hands-on preparation of their own meals, to enjoy and share with their family. 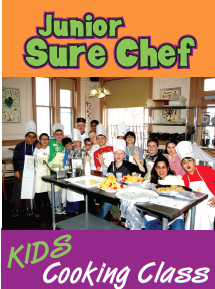 The kids have great fun together while building their confidence, learning new skills and gaining knowledge. 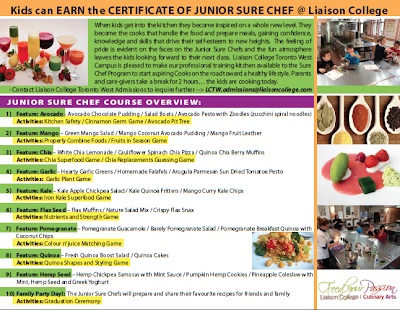 This program features the top regraded super foods of today. 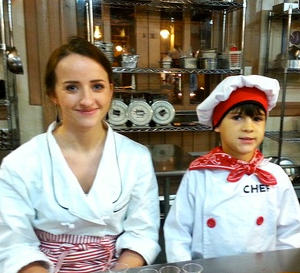 By the end of this course your child with be a mini culinary nutrition expert! Only 5 Spots Available - Save $85! 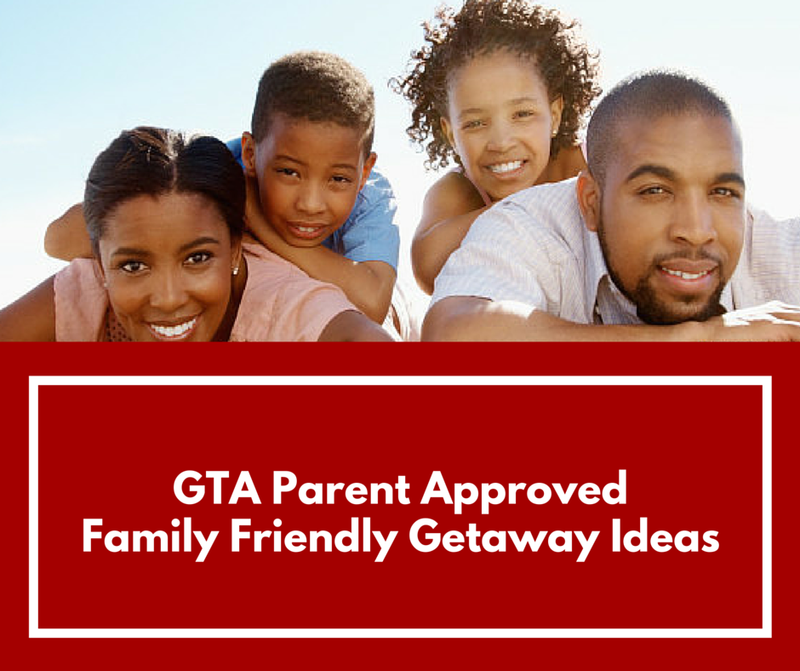 Regular price: $295 | GtaParent Price: $210!! Act Now! 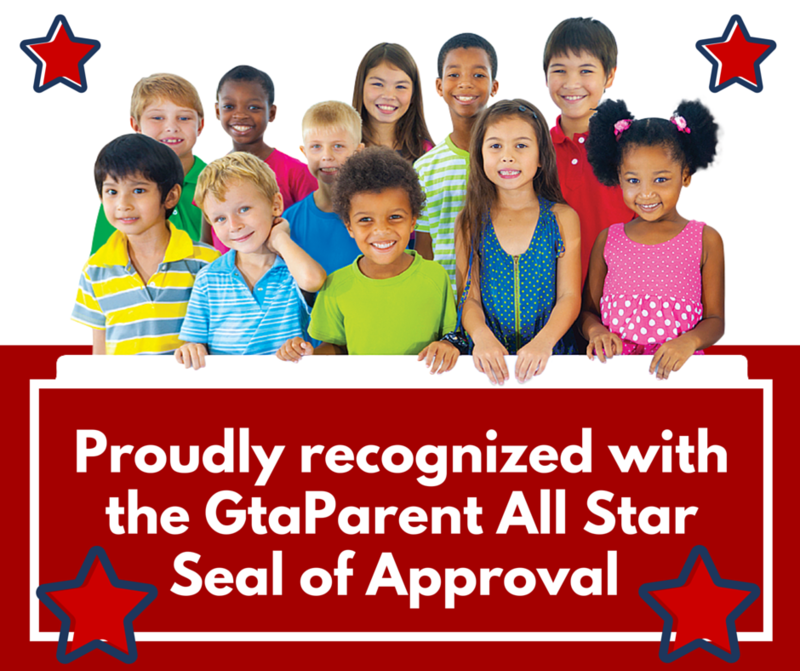 Pay through our link or contact college admissions listed below - be sure to quote "GtaParent Promotion Code: GTAP-JSC"